The annual family summer trip. The best time each year. A time in which we find a new state or three to visit, meandering around different breweries, beer stores, and brewpubs along the way. This year: destination Ohio. Originally our sights were set on Colorado but the long, complex story of how that morphed into Ohio is duly explained behind a few shared home brews on the back patio. Besides, I have never been to Ohio, at least that I can remember, so why not. 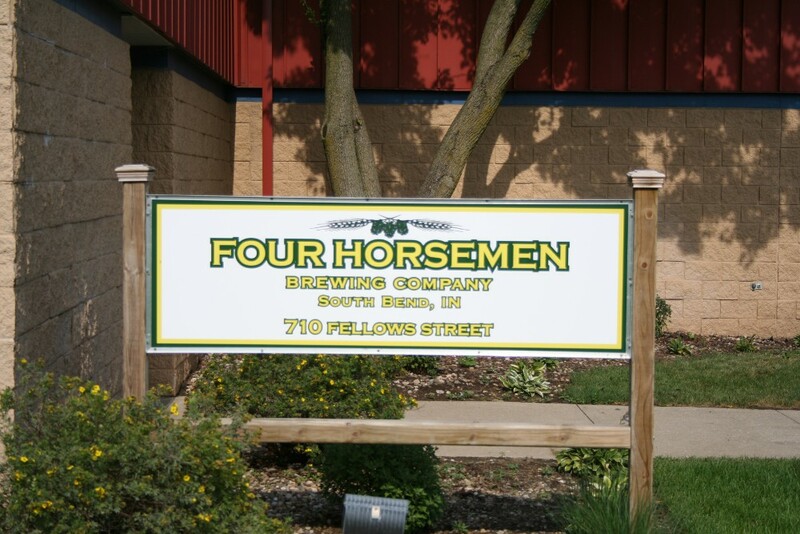 The first stop was on the way to Cleveland: The Four Horsemen Brewing Company in South Bend, Indiana. The wife took the kids to the Notre Dame campus for a bookstore stop as the Four Horsemen isn’t kid friendly. This gave me enough time to try two beers: Bourbon Barrel Stout and Irish Red. The stout didn’t have much of a base stout feel while the red was a nice offering. If you are in or around South Bend it can’t hurt to stop. 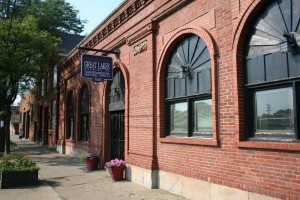 Great Lakes Brewing Company was the first stop while in Ohio. The brewery and brewpub are located in an area that is “coming back”. The pub was crowded (we passed it another time and it was crowded then as well) but we were fortunate that we mentioned we were going on the tour, so they squeezed us in. The food was quite possibly the best on the trip in terms of brewpub food. The food was priced as such as well. I had a couple Rye of the Tiger (a DIPA) with dinner and ended up taking a growler back to the hotel with me. There is a gift shop that is stacked full of goodies. The tour was informative and typical for the brewery size. The gentlemen that was our host did a great job with a stop in the middle for a taster. The brewing takes place on the second floor of the brew house; I made sure to have my sweat towel with me. A brewery hop should be forthcoming. The next stop landed us at Fat Heads. I originally put the wrong address into the GPS, creating a nice long drive through a bunch of neighborhoods. Once finding the brewpub I was excited as I have heard good things about Fat Heads. Unfortunately it didn’t live up to those expectations. The service was average while the kitchen was worse. Three of the five meals we had were delivered to our table and not correct. I know this isn’t a problem of the waitress but it is a bad showing for the business in general. I will not be back. Rozi’s Wine House was the first beer store and only that I stopped at in Cleveland. It didn’t take long for a staff member to come over and give me a showing of the local beers, the fresh beers, and what he thought I couldn’t get at home. He was helpful, saving me from over purchasing beers just to try that he didn’t give good recommendations to. Rozi’s also had make your own six pack which is a big plus in my book: cheaper way to try many beers without being “stuck” with a full sixer. A great place to stop in Cleveland to fill up on American craft beer. Buckeye Brewing Company was the site of my first chance to meet with a head brewer on a one-to-one basis. I met with Garin Wright and Ray McDonald. They shared Cleveland porter, Hippie IPA, 76, Redhead, and an Imperial Stout aged on a used French oak wine barrel. I had a time limit as the wife and kid were sitting in the van. The limit was based on the movie ending that they were watching. Of course a text from my wife ended the conversation. A brewery hop is forthcoming. 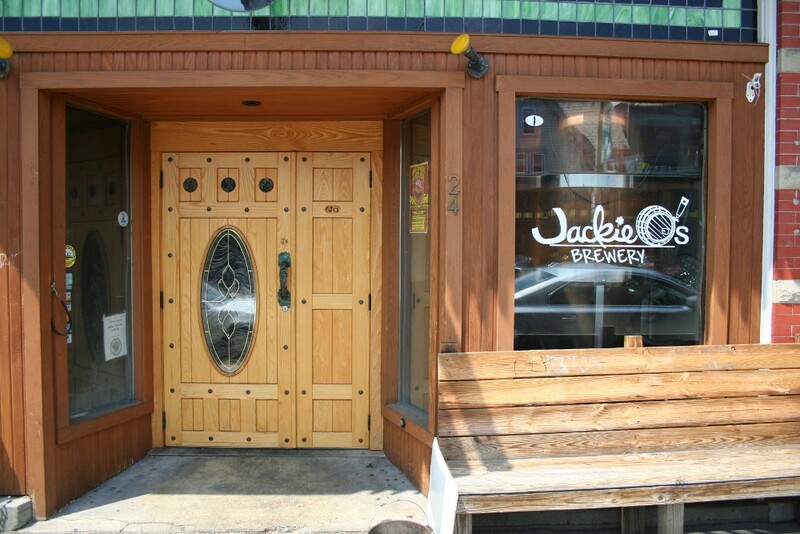 Another day and three more stops: Jackie O’s, Marietta Brewing Company, and North End Tavern (closed on the 4th of July). Jackie O’s was the one of a handful of breweries that I really wanted to hit on this trip. I was stoked. Being the 4th of July, I didn’t know if I would be able to talk to anyone in the actual brewery, luckily David was there and he gave me the fifty cent tour. The basement is tiny but the new brewery space should be welcomed. We had lunch with my wife having Kentucky Monk, a Tripel aged in oak bourbon barrels, while I chose a DIPA, the Matriarch. Both beers were outstanding. We took home a growler of Kentucky Monk. We headed towards Marietta, Ohio and the Marietta Brewing Company. Why? I wanted to hit up West Virginia (never been there) and Marietta had a brewery while being right on the Ohio River. Two birds with one stone. The beer at Marietta wasn’t average or a touch higher. I didn’t feel like they did anything special. We did stop for a quick bite that was anything but quick. The waitress we had was brutal. How brutal? Bad enough that I didn’t take any notes about the experience. It had been a long, hot day that had already taken it’s toll, having disappointing service compounded the situation. The last stop of the day and on the way back to Columbus, was North End Tavern in Parkersburg, West Virginia. It wasn’t open but it did give me the chance to step foot in West Virginia. My wife also noticed a beer store close by, so we stopped. I don’t recall the name as there was nothing but a few of the “larger” American craft beers to be had, all of which find their way to Illinois. 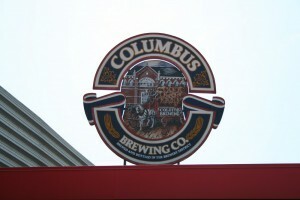 With a night of sleep under my belt, we headed Columbus Brewing for lunch. I also had the hopes of taking a few pictures along with a conversation. I lucked out, both were had. 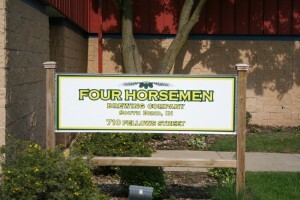 I talked to Eric, the brewmaster and owner about the brewery, with a focus on cost, which was a pleasant twist for me. More to come on a brewery hop. Back to the lunch. The food was great as was the service. I think I enjoyed it more than Great Lakes. Of course I had a pint of Columbus IPA and Bodhi; both solid offerings. I will be back again. Palmer’s Beverage Center was the last stop on the trip that had to deal with my American craft beer addiction. Palmer’s isn’t a big store but they pack it in. 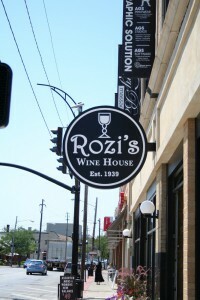 The staff is friendly, going out of there way to make sure you are pleased, answering all of my questions. I picked up a bunch of locals to round out a great haul. The trip was awesome. I can’t thank the wife and kids enough for pretending and allowing Dad to play beer. Without them the experience wouldn’t be as fulfilling. Enjoy! Useless Fact: Over 10,000 birds a year die from smashing into windows. This entry was posted on Wednesday, July 11th, 2012 at 2:52 am	and is filed under Beer. You can follow any responses to this entry through the RSS 2.0 feed. Both comments and pings are currently closed.